Production of the ADO16 in New Zealand followed fairly close on the heels of the initial UK launch, and lasted into the early 1970s. 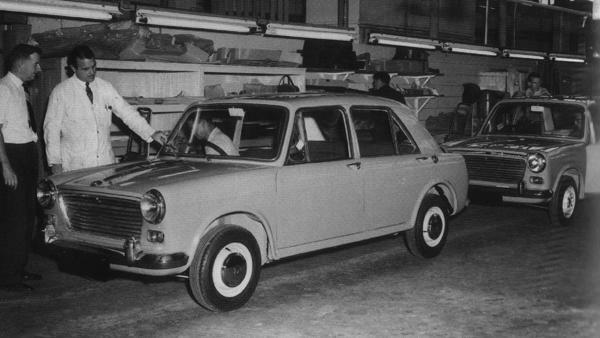 The first (and second) New Zealand-assembled Morris 1100s, photographed at the Newmarket plant on 1 February 1963. AS related by Ian Walker in his article on ‘BMC>Rover in New Zealand’, by the 1960s the franchises for the Austin and Nuffield brands in New Zealand had been consolidated into two independent operations: Austin was handled by the Austin Distributors Federation, while the Morris, MG, Riley and Wolseley marques were handled by Dominion Motors Ltd. With regard to local production (or rather, assembly from CKD kits), it appears that Dominion were first off the mark, with the first Morris 1100 rolling out of their Newmarket assembly plant on 1 February 1963, within six months of the UK launch – and over a year before the model was launched in Australia. As the Sixties progressed, the Newmarket plant also saw the assembly of the MG, Riley and Wolseley variants, and by the late Sixties, the 1300 models were also being churned out there. The 1100 quickly established itself as the best-selling of all the BMC models offered in New Zealand, finding popularity with private and business purchasers alike. As was the case elsewhere, the Austin and Morris versions were the volume sellers, although the MG, Riley, Wolseley and even Vanden Plas versions were available for those prepared to pay the premium. 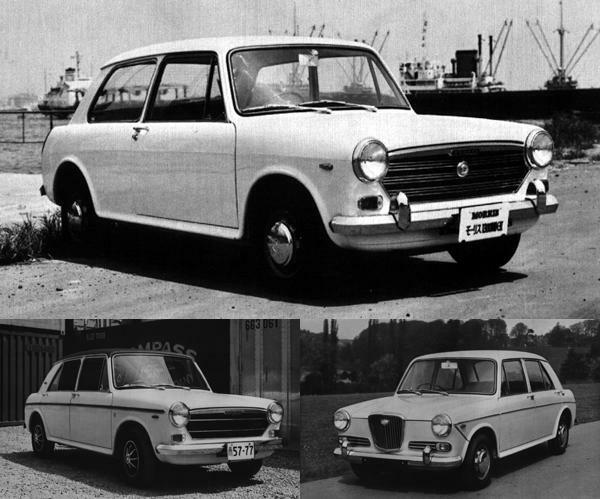 With the formation of British Leyland in the UK in 1968, the days of New Zealand’s separate distribution channels were numbered, and following a visit by Donald Stokes the following year, the process of bringing Dominion Motors and the Austin Distributors together was set in place. In 1970, this culminated in the formation of the New Zealand Motor Corportation (NZMC). Production of both Austin and Morris 1100/1300s was now taking place at the Newmarket plant, and around this time, NZMC began importing various Australian-built Morris models, including the ADO16-based 1500 and Nomad; somewhat curiously, most of these Aussie-import models were rebadged as Austins for the NZ market. In 1974, the various ADO16 models finally gave way to the Austin Allegro, which was also assembled in the Newmarket plant until its closure in 1978. A Dominion Motors showroom, circa 1964. An MG 1100 steals the limelight in this shot, although another ADO16 (possibly a Morris 1100) can be seen tucked away in the background. 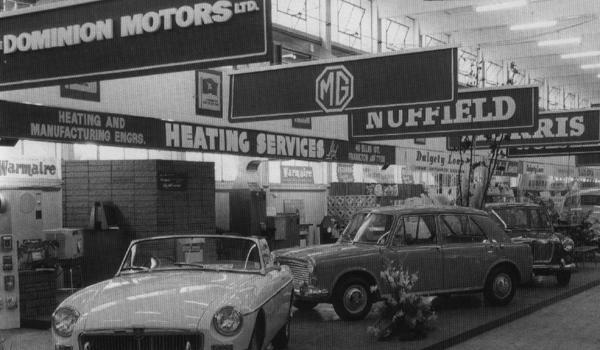 This New Zealand trade fair stand has a clear ADO16 bias, with Morris and MG 1100s keeping the MGB company beneath the MG, Nuffield, Morris and Wolseley banners of Dominion Motors Ltd. Dominion also handled the Riley franchise, of course. 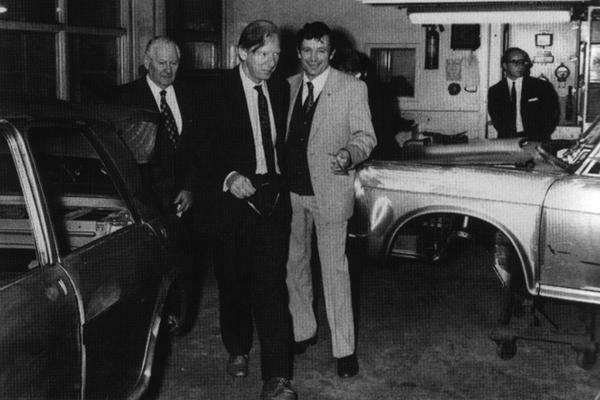 Peter Shore (centre) is shown around the Newmarket plant during his tenure as Under-secretary for Economic Affairs (1966-67) in the British Labour government of the day. On the left is Sir Walter Norwood, head of the family-owned Dominion Motors, and they are flanked by a couple of 1100 bodyshells mounted on jigs during the assembly process. 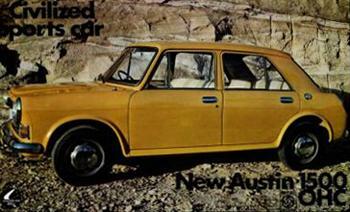 Allegro didn’t go into production until 1975. I visited that Newmarket plant as a student mid-year and it was still happily knocking out the last of the 1100/1300s. The Kiwi Allegro Mk I wasn’t built for long, was the first NZMC product with a heated rear window (Pilkington’s local monopoly unit having finally tooled up) and had a round steering wheel. I used to pick up BMC parts from Dominion Motors Newmarket in 1969. Do you know if they also sold Rambler Javlin? The MG’s were imported built-up and not assembled locally, in a Motorman test in Nov 1965 it is described as ‘the best selling, built-up. non-remittance vehicle sold in the country’. The NZ market only ever took 4 door models, which is why the Riley took over as the performance model, when the MG was only available as a 2 door in 1968, the 1300GT took over from the Riley when it was discontinued. The Riley, 1300GT and Wolseley were assembled in NZ along with Morris and Austin. The MG was, in fact, assembled at Newmarket, supplementing English assembled cars, but only for a couple of years from about 1964. The later MG 1300 was not sold officially new in NZ. ‘Non-remittance’ refers to the ‘overseas funds’ scheme in effect at the time which enabled early delivery of a new car only if the buyer had a deposit of about 50% in pounds sterling, or equivalent, in an overseas bank account. He could then have either a NZ assembled car very quickly, if in stock, or, if he wanted a model not locally assembled, a UK built unit could be ordered with a wait of a few months. Distributors and dealers liked this scheme as ‘no remittance’ cars did not use up their limited government import licence allocation for complete cars, assembly kits and spare parts that required tightly regulated foreign exchange to import; the no remittance sales were additional business on top of their regular trade. 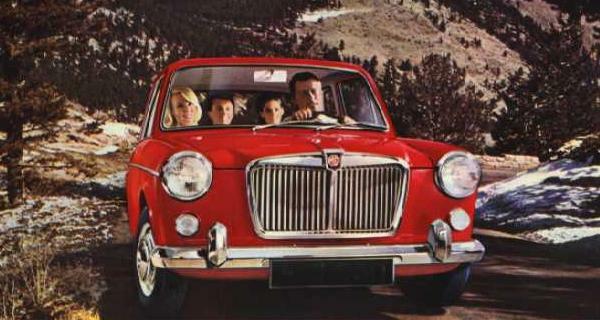 In contrast to the Morris 1100, the Austin 1100 initially was import only, so hard to get unless buyers had overseas funds and all the launch advertising focused on no-remittance buyers. Anyone else had to go on a long wait list or buy second hand. Allegro was never built at Newmarket. It was always done at Panmure. After a few Mark 1s with round steering wheel in 1975, most NZ production was Mk2 1300 (1500 autos were built only for a couple of years and did not sell well). NZMC was switching to Honda and planned to drop the Allegro after the last batch of Mk2s but 48 CKD kits for Mk3 (4 headlamp) 1300s were shipped from Longbridge in error and duly assembled and sold. And that was the end of Austin assembly in the Antipodes. Hi Graeme. NZ assembled MG’s must be VERY rare, the four I have personal contact with (1963,1965 (2),1968) are UK assembled. The 9 that have appeared on TradeMe in the last 2 years are UK assembled. Dominion Motors Price list May 1965 doesn’t list any MG’s under New Zealand assembled, but does under UK assembled (interesting you could buy a NZ, Australian or UK assembled Morris 1100). And the Motorman article says ‘the best selling, BUILT-UP. non-remittance vehicle sold in the country’. Happy for any sources that prove otherwise. I was wrong the 1300GT wasn’t assembled in NZ. 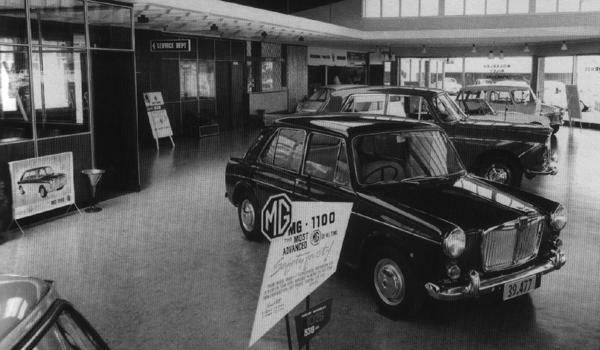 I’ll stand corrected; the one mention of MG in all of Mark Webster’s Assembly book (p.122) is only with reference to the early 1970s, UK-encouraged consolidation of all the previous franchise holders and dealers of the BMC and BL etc brands into NZMC and mentions only ‘the CBU MGs…’. I had always thought Dominion Motors Newmarket had assembled some MG models with the Morris and Wolseley variants of each 60s and early 70s model line as they handled all the Nuffield Exports brands including Riley (the Kestrel was imported, too). A neighbour had a new MG1100 in 1964 and always thought it was Dominion Motors Newmarket build, alongside the Morris 1100s which were much more numerous; hence my understanding the MG was Kiwi built but the fact it was relatively uncommon and not offered for long supports your thinking it was CBU only. That was also the case with initial supplies of the Austin 1100 before Petone assembly started; in contrast Dominion built CKD Morris versions quite early on; and that plant built the last in 1976 before closure. MG1100 CBU from early 60s would have mostly been non-remittance units; my neighbour had an English expat son in law who may well have sorted the Sterling deposit which was also essential for ‘early delivery’ of a NZ-assembled car back then. As an aside, few realise even now, as Webster continues on that page, Dominion Motors somehow had the distribution rights for GM built Pontiacs and how that happened I am still trying to establish…. Hi Graeme. FYI. Riley Kestrel (Motorman August 1967) and Riley 1300 Mk2 (Motorman November 1969) were both assembled in New Zealand. The Riley 1300 Mk2 being available after the demise of Riley in the UK until stocks lasted. The Riley Elf is also listed in the May 1965 price list as NZ & UK assembled. The May 1965 price list mentions Dominion Motors is the agents for Rolls-Royce, Bentley and Pontiac, prices available on request. I worked at Spraggs Garage in St Heliers Auckland New Zealand during 1969 – 1970 as spare parts delivery driver. Dominion Motors was a regular drop in for me, actually to pick up spare parts. I have a memory of seeing a new Rambler Javlin on the showroom floor. Does anyone know if I have that right? Rambler was imported (and the Rebel assembled) by Campbell Motors based at 438 Queen Street where they had a showroom. The Javelin would have been either imported new by them to special order, or privately imported from overseas. Javelin was built RHD and sold new in Australia by AMI. They were a rare car and, if at Spraggs, was most likely a used car they were selling. The thing that makes me most angry about ADO16, other than the build quality. Is why wasn’t the Full Hatchback Morris Nomad offered in the UK ? Monumentally stupid. Especially when the VW Golf was brought out, and Austin Allegro was launched. I really think that BLMC, was as close to institutionalised madness that anywhere in the western world has ever achieved. It was a shame, Peter Walker MP, wasn’t allowed to do what he wanted with BL. Split it up into its previous companies and privatise it.